SIVA Property Management services is a full service assets and property management company. Our services include all traditional property management services for Single & Multifamily Homes, Apartments and HOA’s. Choosing the right Management Company is your first line of defense, not only to protect your investment, but to run the operation smoothly in a cost effective way to maximize your profit. We have a unique set of services designed to achieve the above results. Lisette's educational background includes graduating from Santa Clara University, where she received a Bachelors of Science in Sociology with an emphasis in law. She also received her Master's in Business Administration from the University of Phoenix. She is a native of San Jose and speaks Spanish fluently. 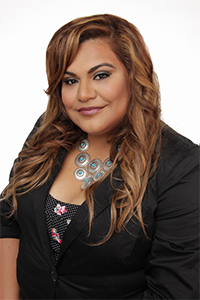 Currently, Lisette is the CEO of SIVA Property Management, Silicon Valleys's premier property management company. Her goal is to provide property owners and residents with a seamless experience.